Addis Fine Art is a gallery specialising in contemporary African Art, with particular focus on art from Ethiopia and its diaspora. In January 2016, Addis Fine Art opened its main gallery space in the heart of Addis Ababa, Ethiopia launching an innovative programme of exhibitions, talks and events, showing a diverse set of modern and contemporary artists from Ethiopia and the diaspora. In October 2016, the AFA Project Space was opened in London, to provide an additional international platform to the gallery’s programme. MESAI HAILELEUL - With over 20 years of experience in dealing, curating and exhibiting Ethiopian art, Mesai has continuously aimed to create a presence for Ethiopian artists in international spaces. Based in Addis Ababa, Mesai is part of the rapid change happening in the Ethiopian capital and has invaluable insight into the evolving cultural climate of Ethiopia. RAKEB SILE - With over 10 years experience in business consulting and project management, Rakeb brings a wealth of commercial experience to Addis Fine Art. As an indigene of Ethiopia and a collector of Ethiopian art, she is well versed with the context in which Ethiopian artists are cultural producers, transforming the mundane into nuanced and expressive works of art. Zoma Contemporary Art Center (ZCAC) is an eco-sensitive and educational artist-in-residence village. Co-founded by curator and anthropologist Meskerem Assegued and one of today's most original Ethiopian artists Elias Sime, ZCAC was listed as one of the top places to visit in 2014 by New York Times. The concept was first introduced to the public in 2002 during Giziawi #1, its first art happening. Named after Zoma Shifferaw, a young Ethiopian artist who died of cancer in 1979, ZCAC is located in two major cities in Ethiopia. ZCAC Addis is situated in an extraordinary house made from mud, straw and stone - designed and sculpted by Sime - representing the centre’s philosophy of driving environmental sustainability through art, and ZCAC Harla is in Harla, a small historic village east of Dire Dawa, Ethiopia. ZCAC is run much like a family where the surrounding community is an extension of the center. The focus of ZCAC’s work is the promotion of multidisciplinary contemporary art, international exchange between artists, and the conception and implementation of sustainable, innovative, and environmentally conscious art projects. With its residency programs designed around different themes (architecture, landscape design, art, documentary film, and education), ZCAC provides Ethiopian and international artists the opportunity to live in harmony with nature, develop new forms of artistic expression, experiment with new techniques and materials, and to find alternative, artistic, and creative solutions to current environmental problems. Another important component of ZCAC’s activities is the establishment of an ongoing educational program with international partner institutions. Since 2002, the center has been regularly hosting educational events, such as workshops at the School of Fine Arts with renowned artists - David Hammons from New York and Ernesto Novelo from Mexico. With the support of Alliance éthio-française and the British Council, ZCAC has also collaborated with the International Association of Art Critics. ZCAC Yucatan was initiated by Ernesto Novello after his residency at ZCAC Addis in 2007, it is now a thriving art center in Yucatan, Mexico. Makush Art Gallery shares house and business with its namesake Italian Restaurant, located in a trendy Bole area, the new downtown of Addis Ababa, capital city of Ethiopia. A treat to your eyes as well as palate, Makush Gallery and Restaurant, is a testament to the burgeoning art sense in Addis Ababa. Tesfaye Hiwet, the owner of Makush gallery as well as the restaurant, moved back to Ethiopia 13 years ago, leaving behind his expatriate life in U.S., and started Makush gallery by carrying works by 15 artists. Today, Makush has about 70 artists on its books and at any given time, a collection of more than 650 paintings from which customers can choose. Makush’s art director, Nathaniel Yohannes, runs a tight ship considering the stylistic and thematic diversity of paintings carried by the gallery; mostly by young and emerging artists, giving very competitive market prices that has captured the attention of Makush’s mainly (about 65%) expatriate market in Ethiopia. Makush also offers the services of its frame workshop, rounding up the pleasurable art-shopping experience. Netsa (which means free in Amharic) Arts Village was established in 2008 by eleven graduates of Addis Ababa University’s School of Fine Arts and Design with the aim of promoting contemporary art in Ethiopia and giving emerging artists a platform for exchange, discussion and debate on all issues related to art; to stimulate the quality, development and context of contemporary art practice in Ethiopia. The city of Addis Ababa supports the project by allowing artists to use part of Ferensay Park, a large urban green space. With the support of the Addis Ababa Goethe-Institute, a dome-shaped structure was built to house various art events. Netsa Arts Village provides Ethiopian artists with a forum for networking, communication, and dynamic exchange. Concerts, readings, video presentations, discussions, and exhibitions bring artists and the local communities together, celebrating examples of good art-practices, creating a living museum of contemporary art. Several projects, many of them interdisciplinary, involve youths from socially disadvantaged neighborhoods, such as the photo-based exploration of urban space organized by Leyikun Nahusenay. Netsa Arts Village is almost entirely financed by the artists themselves, but also cooperates and is supported by different networks for contemporary art such as the Triangle Network, Kuona Trust, ASNI Gallery, Townhouse Gallery, and Arts Collaboratory. Laphto Art Gallery (LAG) occupies a large, bight and airy space on the top floor of Laphto Mall. Being one of the newer art spaces in the city of Addis Ababa (it opened its doors in 2012), LAG enjoys a modern esthetic and is frequented by many artists, collectors, curators and art-enthusiasts. LAG showcases multifaceted and diverse projects including paintings, sculptures, photography, multi media, installations and more. 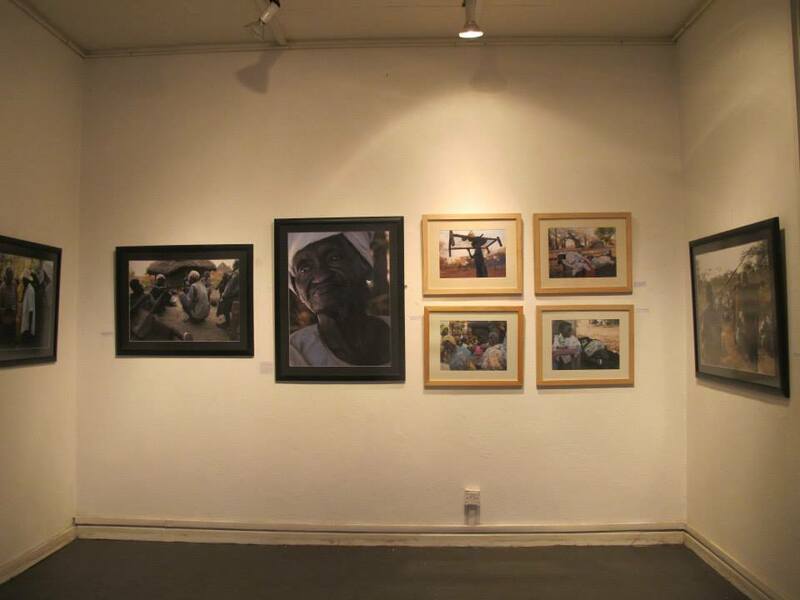 The gallery aims to provide artists with opportunities for experimentation and education, using its spaces to hold exhibits not only by local but also international artists, and organizes panel discussions to stimulate art dialogue across geographical and cultural boundaries.The displayed works of local as well as international artists are all available for purchase. LAG is a proud host of an annual exhibition dedicated to artworks by female artists. This annual event was initiated as a way to give female artists a specialized platform to introduce their artwork and network amongst a community of fellow female talents; providing them with skills and encouragement to continue with their creative pursuit despite the harsh realities faced by many female artists in Ethiopia, who have little to no workspace and are challenged to keep their talents alive and incomes stable within the imposed societal expectations of becoming a wife and mother. Asni Gallery, founded by Konjit Seyoum in 1996, has been known for it's thought-provoking exhibitions focusing on launching new talents as well as accommodating idea-based experimental works. Throughout the years, Konjit has curated several exhibitions - paintings, sculptures, photography and installations - and organized local and international artistic workshops and residencies. A writer, educator and an artist herself, Konjit is interested in experimental approaches and studying how contemporary Ethiopian art and its development relates to the artistic traditions of the outside world. Asni gallery is also known for vibrant children’s artistic activity events, talks, film nights and art classes. Konjit has also been promoting innovative vegetarian cooking at her gallery, drawing on culinary inspirations from the traditional Ethiopian cuisine. A cafeteria is co-located at Asni Gallery and is a very popular gathering spot for the Ethiopian artistic community. Dawit Abebe’s works are presently part of Saatchi Gallery's Pangaea II: New Art from Africa and Latin America (March to September 2015). Dawit graduated from the Addis Ababa University School of Fine Art and Design with a diploma in painting, sculpture, graphics, photography and industrial design; and has been been a full-time artist in residence at the Habesha Art Studio since 2001. His solo exhibitions include Background 2 at Kristin Hjellegjerde Gallery, London (2015), Background 1 at Lela Gallery, Addis Ababa (2014), and X Privacy at the Alliance Ethio-Française, Addis Ababa (2012). Group exhibitions include Concerning The Internal at Circle Art Gallery, Nairobi (2015), Visibles/Invisibles at Fondation Blachere, Apt (2015), the touring Silver Sea Cross-Ship (2013-14) and the display of the Habesha Art Collection at the National Museum in Addis Ababa (2014), as well as exhibitions in France, the UAE and the USA. Dawit’s work continues to gain international recognition. In 2014, one of his works from Abebe's X Privacy series sold for double its estimate at a major auction of East African art in Nairobi, Kenya. Girmachew Getnet, graduate of the Addis Ababa University Alle School ofFine Arts and Design (2001), enjoys a vast repertoire in both local as well as international art scene - Ethiopia, Germany, Sweden, Czech Republic, USA and Kenya. In 2005, Girmachew was invited by Johannes Gutenberg University, Mainz (Germany) to organize the art exhibition Wall and Canvas thatfeatured contemporary and traditional wall paintings from Ethiopia. In 2007, Girmachew was involved in the celebrations for the Ethiopian Millennium (2007 corresponded to year 2000 in the Ethiopian calander) by the Grassi Museum, Leipzig (Germany), where he organized the art exhibition and showcased hisexperimental short film Free Space - this short film have been screened in different venues and festivals in Europe and Ethiopia. Today, the artist lives and works in his own studio in Germany. Workneh Bezu was destined to follow his passion for art and enrolled at the prestigious Addis Ababa University School of Fine Art and Design, where he says, he was privileged to study under and be mentored by some of the masters of Ethiopian painting and sculptor. For Workneh, art quickly became his life, a medium through which he was able to channel his passion and dreams. Receiving formal training gave Workneh the techniques and academic skills he needed to bring his dreams to reality. Workneh experiments with different artistic forms and has become one of the pioneers of children’s puppet and short animation films in Ethiopia. Included in his creations are rug puppets, paintings in oil and watercolors, sculptures and graphics art. Workeneh has shown his works in more than 20 exhibitions in Ethiopia and internationally. (You can browse and shop Workneh's work here). 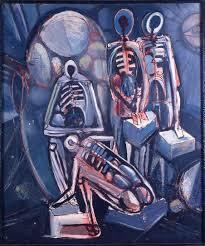 Yosef Lule graduated from Addis Ababa University of Fine Arts School in 2001. Images of clothes laid out to dry on the hills surrounding Addis Ababa have that he encounters on his walks has been sources of inspiration and subjects of many of his works - rich in color, often greens and yellows, with vertical lines defining women and pastoralists in expansive natural settings and celebrating all seasons. His travels to Egypt, Zanzibar, Spain and France has also left impressions on his creativity and found their way onto his oil on canvas paintings. Yosef’s artworks, originally figurative, have become more and more abstract in recent years. Matias Lulu is also a fellow graduate of the Addis Ababa University School of Fine Arts and Design (2001). Mathias translates his perception and feelings about life into shape and form through his daily discipline of painting. He first began with a figurative approach to painting but has since moved onto a more self-expressive and bolder mode of working. His inspirations come from his internal feelings and concerns for the human life. Matias believes that any life is composed of the four elements: water, earth, wind and fire, and makes sure that such components are reflected in his works. Tragically, Matias Lulu passed away in 2013 after suffering from a brain hemorrhage. He has always said, “Art is medicine. For me painting is therapeutic. It is a form of meditation. I lose my sense of direction if I don’t paint. Painting transports me to a different world. Your painting represents you and at times people discuss your work in your absence which makes you in a way still present while physically absent, that is, allowing you to be in two different places at the same time”. His presence and great talent is gravely missed by his Habesha Studio fellow artists and colleagues. The very first Art of Ethiopia exhibition was held in 2008. For over 12 years prior to that, Sheraton Addis hotel has consistently collected art works from local galleries and felt that Ethiopian artists should benefit from the exposure the hotel could give them. Hence, the birth of the annual Art of Ethiopia - a four day exhibition that is part of the hotel's Community Outreach Program; an art event that since its inception has brought the vivacity of the Ethiopian local art scene to thousands of residents as well as international visitors. For each year's exhibition the hotel creates an art catalog that is sold to visitors and guests. All proceeds from the sale of the catalog go towards the Sheraton Addis Art Endowment Fund which supports local art schools and artistic initiatives in the city of Addis Ababa. The first sponsorship was a lithograph printing machine given to Ale School of Fine Arts & Design of the Addis Ababa University. 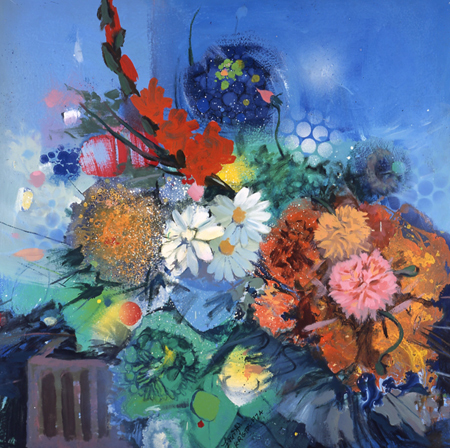 The show that started by showcasing the works of eight local artists in its first year, has now established Sheraton Addis as a leading patron of the country’s art scene, attracting international art lovers and buyers who now make the annual trip to Addis Ababa to view the works displayed. Over 78 artists have displayed their art in the hotel's grand ball-room Lalibela since the start of the exhibition, accounting for over 700 pieces of artworks. Organizers of Art of Ethiopia would like to see the number of women artists participating in the show grow - about one fifth of artists who showed in the 2014 exhibition were female. As a result of being featured at the Sheraton event, many young artists have gone on to launch their own solo exhibitions in the city. Art of Ethiopia strives to develop and expand the pool of Ethiopian talent - 20% of the artists who displayed thier works at last year’s exhibition did so for the first time, adding to the diversity of work on show. The art catalogue featuring displayed works and artists has all in itself become a collectors' item over the years. It all started in 2005; when about 30 works by Gebre Kristos Desta - one of Ethiopia's leading modern artists, a poet and an inspiring teacher - that had remained in Munich, Germany where the artist lived from 1978 to 1980, made their way back to Ethiopia. The German Cultural Institute (Goethe) was entrusted with the pieces but couldn’t provide the space to hold and display all of the works, causing them to disappear from the public view. Professor Andreas Eshete, who at that time was President of the Addis Ababa University, and other devotees of the artist decided to find a new venue that could accommodate all of the artist’s works. The answer came not in a brand new building but in the restoration of the former palace of Alga Werash Asfaw Wosen, close to the seat of the German Cultural Institute, that had been serving as public administration department of the Addis Ababa University. The renowned Ethiopian architect Fasil Giorghis (Chair of Conservation of Urban and Architectural Heritage at the Ethiopian Institute of Architecture Building Construction and City Development), known for restoring historic buildings, designed the new museum, nearly doubling its space. The Federal Republic of Germany covered the cost of the renovation and restoration. Thus, on October 10, 2008, the renovated and expanded Modern Art Museum named after Gebre Kristos Desta, who lived and painted from 1932 to 1981, opened its doors. The museum, situated in the premise of the Faculty of Business of the Addis Ababa University, is the first institutionalized space dedicated to modern art in the city. The lavish exteriors and the interiors of the building are of architectural and historical significance in themselves. They provide a rich setting for collections that cover virtually every aspect of fine arts. The dedication engraved on the front wall of the building promises “to contribute to the intellectual and cultural life of Ethiopia as well as to host Gebre Krists Desta’s artistic achievement”. This permanent exhibition of Gebre Kristos's works will play a key role in positioning modern and contemporary artistic discourses. One of the museum’s missions is creating a dialogue between the past and the present in an environment that is responsive to the issues of modern and contemporary art. On its inaugural presentation, the museum featured 24 works of Gebre Kristos Desta from the 30 holdings brought from Germany as well as works of his contemporaries and disciples like Skunder Boghossian, Abdruhman Sherif, Yohannes Gedamu,Tibebe Teffa, Behailu Bezabeh, Bekele Mekonen and Bisrat Shibabaw. 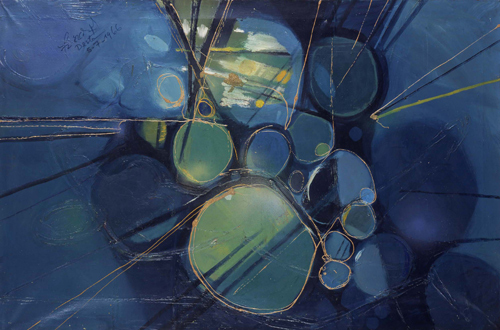 Determined with the conviction that there is as much need to advance in art as in science and technology, Gebre Kristos's dedication to abstract art was a courageous act that could have only been pursued by an artist of the pioneer spirit. Indeed, this contemporary African artist had boldly introduced a new approach and a new form of expression in art to African in general, and to the Ethiopian soil in particular. He eagerly shared his view about the world; his personal experience about life; his moments of contemplation, and conversation with nature - the human misery and complexity of modern man. He wanted us to see beyond the ordinary. He created visual signals via a new language and a new medium; the symbolic meaning of which we have to learn to see, a symbol by far different from the pictorial art of the predominantly Copto-Byzantine Art form of traditional Ethiopia (Achamyeleh Debela, Gebre Kristos Desta, The Painer-Poet). The Gebre Kristos Desta Modern Art Museum is a fitting tribute to a man who defined modern art in Ethiopia, a beloved poet and a much admired teacher - and today his works could be found living amongst those created by generations of Ethiopian artists that came after him. More than a few of them his pupils. The Modern Art Museum/Gebre Kristos Desta Center is found in the Addis Ababa University.